So, Jacob (and Papertine) had finally perished. But, his terror would never leave the halls of McQuarrie Middle School. We had received word that Jacob’s body had disappeared from Tolkien Middle School, yesterday. He was presumed dead after falling into a fiery fate. But, hadn’t we just fought Jacob and Papertine last evening? Is Jacob pulling a trick on us? IS JACOB MINCH ON CAMPUS?!? So, Harvey and Zack were paperless. Our Origami creations were mostly destroyed by the Death Shredder. And only the “Cover Stars” survived: Origami Yoda, Darth Paper, Fortune Wookiee, and Han Foldo. (My Starcreaser was shredded). But, we had something else on our minds: Dwight. Jacob had turned Dwight, our friend and former wielder of Origami Yoda, into a monster known as Darth Melted Plastic Dinosaurs. And he was powerful. More powerful than Jacob could ever pretend to be. And he was also missing. For three days, nobody’s seen Dwight. Not even his mom. So, I was trying to find Dwight, during lunch. I had taken my brand-new Origami Rham Kota with me, in case I has to fight Origami Ventress, which was Dwight’s new paper-partner. Well, I found him. He was hiding by the janitor’s closet in school. (He was running from squirrels, no doubt). Then, he stood up, and pulled out OrigAsajj Ventress. “Young Jedi; are you Skywalker’s little pet?” he questioned, using a really good Ventress voice. Well, I have known Dwight for like 12 years now, and never once have I seen his dad. I mean, I know that his dad was never around, but did he just leave, or is he…..? Anyway, I decided to go find out. I went to Dwight’s house, which is right next-door to mine, and Mrs. Tharp answered the door. “Did you find Dwight? !” she asked. Her hair was a mess, and her clothes were stained. This lady really loved her kid, if she forgot to even change clothes for three days. “WHERE IS HE?!? WHERE IS MY LITTLE BOY?! ?” she screamed, wildly. I was afraid the entire block would hear her. “Sshhh! He’s hiding. And I think he might be around your house.” I said. “Well… I think it has to do with his father, ma’am.” I said, honestly. She took me upstairs, to a room opposite of Dwight’s. I had seen it before, but it was always, ALWAYS locked. Now, Mrs. Tharp opened the door, and I gasped. All around me, I saw Origami. Cranes! Frogs! Yodas! Even…Origami Dwight?!? “Mrs. Tharp! What is this place?” I asked, aghast. “And he chose Origami.” I said, feeling upset for Dwight. Well, Christopher was coming to McQuarrie Middle School for Dwight’s birthday, which everybody forgot. Well, Chris gave Dwight a sweater vest. An ugly, hideous sweater vest, with pom-poms and a reindeer on it; but Dwight loved it all the same. I didn’t get it. I mean, I knew the line from Episode VI-er, III, but I didn’t know what he meant by it. Destroy…Dwight?! No. Destroy…That nasty Harvey boy? Eh, I could live with that. Destroy….McQuarrie’s hold on Dwight?!? Is THAT what he meant? Get Dwight out of McQuarrie, away from his friends, and make him sad?!? HOW IS THAT THE BEST FOR HIM?! So that, on top of the whole “suspended” issue, is why we left for Tippett Academy. I saw him. Dwight. He was on top of the roof of his house. (I was Sara’s backup). Dwight looked at me with burning eyes. He had been crying madly. And I really wanted to help him. “DARTH MELTED PLASTIC DINOSAURS!!! !” he bellowed. Dwight started shaking. Then, he motioned for me to come up there and get him. Dwight let go of the window ledge that he was holding onto, and fell right into my arms, crying. I put Dwight down (he’s surprisingly light), and I went up to the front door, and told Sara that I found Dwight. “Great work, Caroline!” she said, running down the stairs with Mrs. Tharp. But when we got back outside, Dwight was gone. At the school’s library, me, Kellen, Amy, and Lance were arguing over whether Emperor Palpatine died in “Return of the Jedi” or not, when we saw a shadowy figure walk past each bookcase. Dwight and Jacob sat down in the chairs parallel to ours. “Tommy, the pleasure’s all yours,” Jacob said, smugly. Dwight just sat there, like a zombie. I couldn’t just grab Dwight. If I did, he’d start bawling, and the teachers would come over and send me to I.S.S. (Not that fun if you’ve already been there twice, and one more time means “you’re toast”). With a sudden jerk, Dwight got up from the table, and bolted towards the balcony that overlooks the school. He couldn’t get far from where he was going; the balcony is a story above the first floor! I waited to see him pause, but he didn’t. Jacob smiled, gleefully, and I understood what Dwight was about to do. Dwight was going to jump the balcony. “Dude! Dwight, stop!” I yelled, but it was too late. Dwight looked at me, straight in the eye (very rare for Dwight), and jumped backwards off the balcony, into the waves of students below. As I attempted to get out of my seat, Jacob shoved me back down, and duct-taped my mouth closed. Then, he duct-taped me, Kellen, Lance, and Amy to our chairs! After tasting the sticky, bitter taste of tape for three and a half minutes, I decided to act. I reached for my backpack, and pulled out- aha! A pair of scissors! (DON’T tell Mr. Howell! I use them for arts and crafts!). I hurriedly freed Kellen, Amy, and Lance, then ran down the stairs to search for Dwight. By the time I was down there, everybody was looking above me. Dwight was right above us! Right where we were just seconds ago… Huh? At lunch, all the teachers go outside to watch the kids who want to hang around the playground, like Murky. So, Darth Dwight took this to his advantage, and ran from the center of the balcony to Principal Rabbski’s office, to the left of him. I walked out of the school, cleverly avoiding Mrs. Rabbski and the others, and I put the slip my mom wrote to the school in Rabbski’s Office. So, I was no longer enlisted in McQuarrie Middle School. I went to Jacob’s house. Ok, it wasn’t really a house. The place was hidden off at the local junkyard, covered in used tires and old wooden planks. Jacob was sitting there, looking as comfortable as ever, when I approached him. “Nope, I did!” I said, though I still felt guilty for what I did. I mean, I have never, EVER lied to my mom, and I don’t want her feelings hurt if she finds out the truth about why I am going to this new school. “So, Jacob, when do I see my dad? !” I half-asked, half-yelled to him. My mom drove me to the location that Jacob told me the school was. I looked at the structure. Maybe it was because of the sunrise, but I think it was gleaming gold. It had draperies that were purple (literally), and it had a sidewalk-ish pathway that made me feel like a King. I walked up to the school, with my mom holding my hand. She might have been looking at me, but considering how I always look at the sky or at my feet, I couldn’t tell. I looked up, and saw that the doors were like a castles; giant, decorated, and beautiful sculptures carved into it. My mom let go of my hand, and stepped behind me. I took a deep breath, and opened the door. So, Sam and I were cracking jokes, as usual, when HE arrived. A kid, not much taller than me, with golden-brown tangled hair and pale blue eyes, looking almost everywhere at once, was standing in the registering line. He was with his mother, and he looked strangely content. I could tell he was holding a piece of Origami, but I couldn’t tell who (or what) it was. It was a new semester for the Fellowship. Our FINAL semester in middle school, and the near end of it. Frankie, Ian, and the others weren’t here yet. Just me and Samantha. (Sam). Well, the kid got registered, and walked right over to us. We were a little worried. “Do you want to ask Origami Ventress for advice?” he asked. “Not anymore. Now, she’s a bounty hunter!” he said, holding the Origami baddie up. “What question would you like to ask me, Jedi? !” Ventress snarled. I looked at her, for ironically the first time today. I had been talking to her, but I never really had the courage to look her right in the eye. I just kinda knew she might look different. I mean, Christmas break was over, and she might have done a lot with her look since then. I didn’t really look at her for the past couple weeks, even on New Years and when we swapped Christmas gifts. But, I was still her best friend, so…..
She had changed. A lot. I mean, her usually curly wild red hair was now straight down, only curling at the bottom. And I think she got a makeup kit for Christmas, ’cause she really highlighted her green eyes with it. Her clothes were…stunning. A red top, navy-blue jeans, and a green hairband. She was a knockout. “He thinks you look….. like a piece of bantha dung!” Ventress said. “Brown! BROWN BROWN BROWN!!!! !” the kid yelled. His mom looked over at him with a look of disappointment. “Now, Dwight! You said you would stop being like this!” she said, fast-walking over to him. She grabbed him by the ear and whispered some stuff to him. Some of which, I could tell, would only come out of Soapy the Monkey’s mouth. So, Dwight was strange. This kid folded Origami, but he was weirder than us. 15 minutes later, Aragorn Paris joined us. Then Frankie. Then Malcolm, Peyton, and the rest of the Fellowship. I introduced them to Dwight. At first, they were all hesitant. Then, DT walked over to him, with a smile, and shook his hand. “How’s it going, Dwight?” he said, cheerfully. So, Dwight was NOT one of us. And he was going to lead us into an all-out war; we just didn’t know it yet…..
Elijah took the blame for us, the night Jacob set half our school aflame, and we let him. I let him. And I would never do that again. I loved him. I still do. But he will NOT corrupt me again. I got up that morning, feeling distressed. I got up, didn’t change my clothes, didn’t brush my teeth, and didn’t brush my hair. Then, when I got to school, I was hoping to see Elijah, waiting there for me. Just for a moment, I locked eyes with Elijah. The second he saw me, he turned pale and ran off. I came for him, but I didn’t find him. I came to the table where Peter, Sam, and Aragorn were sitting, and I waited there, trying to avoid that Dwight kid. When the entire Fellowship was there, I was officially re-invited back into the group. “Behold, Frankie, wielder of Origami Eowyn! !” said Peter. Eowyn? Oh well, I guess she is a tough gal, like me. Today, I was going to visit Elijah in jail. For those of you out there who don’t already know this; that isn’t a very good boyfriend/girlfriend relationship. At the Christopher Lee Insane Asylum, I opened the wide doors, and immediately smelled what had to be fire. I ran to Elijah’s cell, my heart beating hard in my chest. I looked toward his cell, but he was gone. Demolition In Process. You…Shall Not…Pass! I had almost been fried in an insane asylum. Typical. I plowed through a construction crew, and asked an official-looking man where Elijah was. “Sorry, Frankie, but Elijah has been moved to a temporary cell in Pennsylvania,” he said. “NO!!! Wait, how do you know my name?” I asked. With that, the man simply vanished. I mean, I had only blinked, and he was gone! I started to tear up; which was very unusual for me. I lost my Elijah, again. Then, without warning, I was grabbed by the arm and pulled back, behind a truck. The next day, Frankie didn’t come to school. I guessed she was sick. So, after gym class, I called her mom up. She said that Frankie didn’t come back from her visit to the asylum. We were both really freaking out now. If Elijah somehow kidnapped Frankie….. Anyway, during math class, Mr. Saru began to lecture us. “So, students, when it comes to pemdas-” he stopped his lecture when he saw Dwight. The two of them just stared at each other for a couple seconds, then he continued. My hand was the only one to pop up. “Um…Dwight!” said Mr. Saru, completely avoiding me. He looked straight at me, with those mysterious eyes, even though I did nothing wrong. After class, I found Dwight. He now had an Origami “Yoda,” that was only 5-Folds! (He called it an Emergency Yoda). So, he asked me to give it a question to answer. “Um… Origami Yoda, what can you see in Tolkien Middle School’s future?” I asked. The paper creature looked strained. I gave him that question because nobody knows the answer other than the school board. “A war, I sense; soon it will be. Reunited, a boy will be, with his father. A love, lost it will be, to fear. A lost enemy, return will he. A friendship, torn to pieces like origami it will be. And… SAVE US ALL, THE CHOSEN ONE WILL. I had no idea what it meant, but the second it stopped speaking, the prophecy started coming true. So, I heard the prophecy that Origami Yoda gave, and me and OriGollum (the third), both thought that “a lost enemy, return will he,” might mean Jacob! Just then, JACOB burst through the door, wielding Origami Wormtongue, and grabbed Dwight by the shirt collar! He let go of Dwight’s shirt, and Dwight pulled out Origami… MORGOTH!!!!! (Morgoth is Sauron’s dark master, if you didn’t know). I instinctively pulled out OriGollum, and lunged at Jacob; of course, only to have him rip OriGollum. I called out to Dwight. Could Origami Yoda stop Wormtongue? Dwight grabbed Jacob, picked him up, and rammed himself and Jacob into the nearest wall. Then, me still watching, he ran out of the school doors and to the road, where a bunch of trucks were moving REALLY fast. If Dwight were to run into the road with Jacob, a truck at that speed could never be able to stop in time! Dwight held Jacob up in front of the speeding trucks (Dwight was a really strong kid), and Jacob started to cry. “Because…because…” Jacob was struggling. He was dangerously close to the road. Then, he spoke words of wisdom. Dwight stopped; a look of understanding on his face. He dropped Jacob, who was gagging, by the way, and walked back inside. With a yelp, Jacob ran away… straight into the trucks. Bummer. What HAD happened to me? Well, I has saved by a friend. Elijah pulled me back, behind a truck, just as a wrecking ball came barreling towards the asylum. THAT THING WOULD’VE KILLED ME!!! “Eli-” I began to speak, when Elijah put his hand over my mouth. “Why did you break out? How?” I asked. “Not here. Back at Tolkien Middle, I will be safe.” he said. Well, Dwight and I were talking over who would win in a fight between Yoda and Gandalf. “Dude, Gandalf is an ANGEL. He could totally take down a creature that uses a fake ‘Force’!” I said. “But, Yoda has a LIGHTSABER, and lightsabers can just slice through swords!” Dwight countered. I was so happy when I met Dwight. He felt like the type of guy who was not too weird, not too un-weird, y’know? And so when he had picked up Jacob, I was so relieved that the teachers were on a coffee break, or else Dwight wouldn’t be here! So, as we were debating LOTR and SW’s strengths and weaknesses, Frankie skipped in. She cut me off again. “Mouse” was Frankie’s nickname for me. Seemed kind of fitting, for her, to call me that. I mean, I do scurry around the school a lot; and I do seem to have a “small” addiction to cheese. Anyway, I decided to help her. I mean, she is my friend, and I really did NOT want to get on her bad side. (If this is how she treats me in a good mood…). I had never seen Frankie run so fast as she did right then. Her garbage-scented black hair flew right into my mouth as I tried in vain to speak. Eh, what the heck? I decided to follow her. After talking to the others, and witnessing a very interesting incident with Dwight and juice and cupcakes, we ran off to the parking lot, to find Elijah. “Hey, guys? What’d I miss?” said Elijah. He had the same clever smirk as usual, as if he was always one step ahead of us. “Elijah…what’s your game, this time?” Peter asked. My time had come. I was ready to take down Jacob, one piece of paper at a time! “What PROPHECY?! And why did this kid bring Star Wars into a Lord of the Rings-related school?! ?” I yelled. I never let Peter win a conversation against me. “Wow, you still ARE evil!” DT said, running off to his hiding spot with Ian and Jack. Elijah gave us walkie-talkies to communicate to each other with. Sam, John, and I all had one…just in case. We sneaked past the school, towards Jacob’s “house,” which is like a mile away. We passed some school called McQuarrie Middle School, and something clicked in my head. So, I knew instinctively that Jacob HAD to be in there. (We left Dwight at our school, so that he wouldn’t try and kill Jacob again). We began to run in, our footsteps echoing in the school halls. Then, I gasped. It was like the wind was knocked out of me. Jacob stood above me, holding a baseball bat in his hands. I then realized that Jacob had hit me in the stomach with a baseball bat, and I think I might have broken a few ribs. I couldn’t get up. “Um…Elijah? We found him! !” yelled Sam, into her walkie-talkie. It was time for Phase 2. DT, go for it! We rushed in as soon as we could, while folding new and improved origami Fellowship members, as we ran into the hallways, and saw Jacob wrestling Sam with a baseball bat. John was kneeling beside Peter, trying to help him up. Normally, this would not be my approach. I am usually a “peace” sort of guy, who doesn’t think violence is acceptable. But when I DO get rough, I get down and dirty. I pulled out a handful of Jacob’s hair, bit his ear, and kicked him in the gut. After a high-pitched scream, I realized I had done that all to SAM, who fell down and left me to fight Jacob with Jack and Ian. Jacob’s shirt was in tatters, and he had a piece of Samwise Gami in his hair. There goes another Origami hero. We jumped on Jacob, leaving him in a sort of dog-pile underneath us. I told the other two to get behind me, as I pulled out Uruk-Gami, and gave Jacob a few wild punches. Jacob was really angry. I could see the red on his face and the strain on his body, as he grabbed onto me and threw me across the room. I looked back at Jacob, and saw Ian deliver a sweet uppercut with Origami Elrond. Then Jack did the same thing with his Nazgul. Jacob, though injured, was still REALLY strong! He picked up both Ian and Jack, and threw them…right into me. “Enough is enough, Jake!” I cried. “Clumsy, clumsy children. Even in my own death, I was one step ahead of you…” Jacob whirled his baseball bat in my direction. I dodged, jumping into the air and landing onto my enemy. I put all my weight on Jacob, pinning him to the ground. I could have seriously hurt him right then, but I just…couldn’t. Here was my enemy, lying before me, beaten and ready to be served some good ol’ fashion justice, but I just couldn’t hurt him. He’s just a kid. He may be a crazed maniac, but he IS just a kid. I can’t hurt him like this. I’m just not evil anymore. Jacob might have been the real driving force in this whole “Fellowship” thing. I mean, I knew him back when he gave me the idea for Origami Lord of the Rings, but…..WAIT A SEC!!! I never finished my sentence. Jacob smiled viciously as he grabbed the baseball bat from behind him, and whacked me across the head. I could tell I was missing some teeth, but at least nothing was….brokennnnn……. JACOB INVENTED THE FOLD OF THE RINGS TO GET RID OF US. I saw Sam lying next to me, with a clump of hair gone from her head. She still looked as pretty as ever. I chuckled, then my stomach hurt. I realized, my ribs must be really hurt…or worse. I blacked out, but not before I saw a silhouette above me, facing Jacob. This silhouette was holding an Origami Yoda finger puppet. I was angry. My mind was clear, and I wasn’t acting weird or anything. That always happens at a new school. Only when I’m with Tommy, Kellen, and the others, do I act weird. I had to deal with Jacob. That was obvious. I looked around me, shocked, as I saw the unconscious bodies of Peter, Elijah, DT, Peyton, Malcolm, Frankie, Ian, Jack, and Sam. They were injured, but none of them were fatally wounded. I rose to the challenge. I gave Origami Yoda his lightsaber, and charged towards Jacob. I watched the look of fear in his eyes as I grabbed his hidden Papertine and Wormtongue puppets from his pocket. (I knew he must still have a connection to Papertine.) I took them both, and ripped them to shreds. The look on his face was enough to warn me that he still had a baseball bat, and he wasn’t afraid to use it on me. I fell to the ground, pretending to be frozen in shock, so he would maybe just leave us all alone. Then, I saw Tommy, Caroline, and Ryan charge at Jacob with Origami Rex, Origami Padme, and Jedi Bob. They came to save me! Sadly, Jacob saw it coming. I guess he had really planned for all this. He’d even managed to escape death, too. I thought then about the fact that Jacob started this whole thing to get revenge on me. What if we never even put a dent in his plans? What if this whole thing, this whole “Week of the Papertine” and “Fold of the Rings” thing was all just part of a bigger master plan? Like how Emperor Palpatine used Darth Maul, Count Dooku, and even the Clone Wars to get Anakin on his side? I came to the realization too late. I yelled out to Caroline, but she didn’t hear until Jacob had already come at her with the hidden Origami Darth Plaguies he had from last month. Jacob gave Caroline a really hard hit with the baseball bat, leaving her stunned on the ground. When Tommy and Ryan came to stop him, he immediately whacked them with the bat, like a lightsaber. The three McQuarrie kids all were on the ground, fast asleep, along with the Tolkien kids. 1. “A Love, lost to fear.” Caroline?! Was she the love, and I was to afraid to get up?!? The Prophecy rang in my head. Was my Origami Yoda right? Was I the Chosen One? I rammed into Jacob, bit open Origami Plaguies, pulled out Origami Yoda, and said the last thing there was to say. I picked up Jacob, in a sudden furious fit, and I threw him out the window, down, down, down through the air, and onto a very angry Soapy the Monkey. (Mr. GoodCleanFun must’ve been visiting…lucky!). Jacob’s rule was over… I think. The cops took Jacob away to the re-invented Insane Asylum, “James Earl Jones’ Correctional Facility,” and took Elijah there, too. Us kids were all forgiven for the “break out” of Elijah, and those of us with serious injuries were taken to the hospital. Just then, Frankie yelled out to the Police Chief. “YOU!! YOU WERE THAT GUY AT THE ASYLUM!! !” she said. “AND you were the same Police Chief from when Elijah was first imprisoned!” Peter added. “Just doing my job, kids,” he said. As he took off his hat to wipe his face, we all gasped. “Mr. Saru? !” we all yelled. And then he was gone. I can’t describe it, but he was gone. Chapter 1: Three Months Later….. I feel like I failed my Fellowship. I was running toward McQuarrie Middle School, when my shoelaces came untied. Normally, I would have stopped and tied them, but this was SERIOUS. I decided not to tie them. Later, as I was running to the doors, I tripped on my shoelaces, fell back, and hit my head on the steps. When I woke up, I was in a hospital. I had never made it to the hallways! So, three months later, in May; we at Tolkien Middle School could finally take a fresh breath of air. The two people who had mocked and almost ruined our Fellowship were both behind bars, for the next nine months. I took it as a time to RELAX!!! I replaced OriGandalf’s pointy wizard hat with Summer visor-cap, I got into a comfortable pair of Lord of the Rings shorts, put on my lucky The Hobbit: An Unexpected Journey t-shirt, and ran outside to play Fold of the Rings with my friends. I could play with almost everyone, except poor DT, who after being dog-piled by his two best friends, was still in recovery, and was wearing a full body-cast. (That seriously stinks). So, we all battled with our Origami Fellowship, and soon enough, the McQuarrie crew joined us. We had become good friends over the past few weeks, and we all had a great time debating which was better between LotR and Star Wars. Little did we know that this little “debate” would become a bigger war than we ever had experienced in Middle School. Today was our last day of school. Our last day at Ralph McQuarrie Middle School. I wasn’t sure how I felt about that. I mean, I had only been there for one semester, but with friends like Tommy and Quavondo, I felt like I was there just as long. We ran off, and most of us went to Xarl’s house. That kid was cool! He had a castle-like playground thing in his backyard, and we could all hang around it and play Origami with him. Me and Aragorn Paris were now inseparable. We would talk about fun times we had throughout Middle School, and all the times we had both separately fought Jacob Minch. So, when we started to play “Star Wars vs. The Lord of the Rings,” everything started to go haywire. I never finished my sentence before Frankie went berserk on me. “Oh, please! Lord of the Rings is incredibly cooler than Star Wars!! !” she said, pulling out Origami Eowyn from her pocket and charging Tommy. I had to stop this before Frankie hurt somebody. I ran over to her, already sweaty and tired from our games, and felt my muscles ache. I let out a loud yawn, stretched, and almost blacked out. I felt the place where Jacob nailed me with his baseball bat. My ribs weren’t fully healed, and when I stretched up, I must have pulled something. I fell onto the rough, gravely ground, and closed my eyes. I was defending myself from Frankie when I saw Peter fall. He didn’t even yelp when he hit the ground. I ran over to him, and saw a shadow behind me. At first, I was afraid it was Frankie, coming to pummel me for what I said, but instead, I was patted on the shoulder by Sara. She has been really nice to me lately, and I couldn’t believe that she actually has been talking to my mom about us still being in the same high school. HIGH SCHOOL?!? I am NOT ready for that! There goes my nice, supportive sorta-girlfriend. “Hey, I didn’t even touch him! He just…fell!” I said. I looked behind me and saw everyone looking straight at me. They thought I did it! “Stop blaming me, kid!” Frankie bellowed. Sara shook her head, and, without looking back, she threw her Fortune Wookiee to the ground, and pulled out of her back pocket a hidden Origami figure; Origami Arwen! Then, finally, she slowly turned around, and I saw in her light hazel eyes the one thing I never want to see in her again. I saw fear. True, honest fear. Then, the Fellowship (and Sara) grabbed Peter, and took him inside. I wanted to help them out, but…. according to them, I did something wrong. I got up, dusted the pebbles and dirt off my shorts, and ran back to my bike. My life was about to take a turn for the worst; and this wasn’t even scratching the surface. Frankie had to give me mouth-to-mouth! When I woke up, however, I was feeling much better. Then, my mom came into my room to check on me. I jumped out of my bed, and stretched for the first time in months. “What? What is it? !” my mom screeched. I felt bad for lying to my mom. My stomach felt terrible. But, I tried to make the best of it. If she knew that I was still in pain, I might NEVER get out of bed!!! The next day, I ran out to the local park, to meet up with the Fellowship. We were having a party to celebrate our newest member: Sara Bolt. At one point during the party, I went off into the hiking path that the park has, to think. The leaves crunched below me, the trees were lively and filled with happy animals, and even the sunlight was gleaming off of everything in it’s range. I ran over to her, and had a million questions to ask her. I heard about The Fellowships party for Sara. SHE DIDN’T EVEN INVITE ME!!! I mean, sure; she thought I had injured an innocent kid, but I didn’t! I hurried up to the picnic tables, where I saw Sara goofing around and having a good time. Then, she started talking to… XARL!!!! !I knew the kid was popular, so I really couldn’t blame Sara for possibly crushing on him. But, I thought we were, like, an item, or something! ALMOST boyfriend/girlfriend, doesn’t that mean anything to her?!? I ran off into a hiking trail. I looked around at the sunlit scenery. My pulse started racing when I saw Peter and Sam. I was gonna be caught! I called Dwight up. If anyone knows weird, Dwight does. And if he doesn’t talk, I’m sure Origami Yoda will…..
“Purple?” Dwight answered the phone. “ME?! Nobody ever wants to talk to me! Sure, I’ll talk!” he said, with a ton of enthusiasm. I talked to him about the whole missing time thing, and about how Peter, me, and Sam all knew the truth, but nobody else did. When I finished, I waited for him to talk. A minute goes by, then two, then three…. I hung up. There was no need to talk to Dwight at this point. But….. I felt guilty about something. Maybe the fact about how Dwight lit up about getting a phone call, and how nobody ever calls him, but I did. I called him up again, and he said the exact same thing he said before, as if he had completely forgotten about our last conversation. I talked to him for about an hour, and motioned for Peter and Sam to leave. We had failed at getting anything from Dwight. But NOT Origami Yoda…..
Sam and I walked over, and I tapped Sara’s shoulder. “Oooh! Is this some sort of ritual or something?” Sara held Sam’s hand, and walked with us for about a half mile along the pathway. Then she saw Tommy. Sara ran over to Tommy, who, by the way, was still talking to Dwight, and she tackled him, saying some things about him that only Soapy would say. She pulled out Origami Arwen, armed it (her?) with a spear, and tried to stab Tommy. I ran over, and pulled out Frodo BAGgins. We clashed, but Sara yelled one last thing before the greatest battle in the history of Origami began…. I heard Sara’s battle cry. I stood up tall, holding Origami Aragorn, and yelled, “For Sara!” We charged down the pathway, until we found Sara wrestling with Peter, Sam, and Tommy. Why was she fighting her own leader?! “Sara! Why are you fighting Peter and Sam?! They are respected members of the Fellowship!! !” I yelled. “I- I don’t know!” Sara called out. She was looking dazed, like she was in a trance and just woke up. Tommy, on the other hand, ran off into the soccer field, crying out in frustration. Frankie chased Tommy through the fields (what is her problem with him?) and she pulled out Origami Eowyn. Tommy pulled out Origami Clone Captain Rex, a new one, and the two of them fought right there, in the soccer fields. Then, I saw Tommy pull out of his backpack a toy horn. Say what? He put the horn to his lips, and blew one long note through the air. I was sure everyone had heard it’s sweet and sour melody. I saw ahead in the trees Tommy’s friends Quavondo, Mike, Lance, and Harvey, ready to charge on his signal. I braced myself for war. So, I pulled out Origami Anakin/Darth Paper, and charged at some tough-looking chick with a paperwad of some random warrior girl. (I have never even heard of this “Lord of the Rings” thing, but if it was good enough to stop that nutjob Jacob, it’s gonna be pretty hard to beat). This kid, Frankie, she charged at me, whipping her dark hair behind her in a frenzy. She tangled her arms with mine, as we wrestled for our origami. DP and her paperwad started to trash talk. Frankie pinned me to the ground, and, with a flame in her eyes, ripped Darth Paper’s mask off. No more Darth Paper. Around me, I saw havoc and mayhem. Tommy was locked in combat with Xarl. Lance, with General Creaseous, was battling Malcolm, and the battle was in Malcolm’s favor. Quavondo and Mike were fighting DT and Sara, and Sara wasn’t even with us anymore! Well, Ryan and Aragorn were trying to work together, blocking attacks from BOTH sides. And Peter and Sam were with them, using weird paper things to deflect blows from Ian, John, Jack, and Peyton. THEY WENT ROGUE!!! Whatever battle just started, it was already ending, because out of nowhere, Mr. Saru and Ms. Saur from that Tolkien school charged at us with… Force Ghosts?! What were those? “TREMBLE BEFORE THE MIGHTY WITCH KING!! !” Mr. Saru yelled, as he charged at me, with his golden brown facial hair beaded with sweat, and his chest heaving powerfully, as though he was running for hours. We on the McQuarrie side ran off, and I guess we can say Tolkien won, since Peter and Sam also ran off with us, and Xarl and Peyton called out for them, but on the inside, I could tell they were laughing with victory-induced joy. So, when Aragorn Paris yelled at us to attack, I was first to run. Was she ALWAYS this loud? Anyway, I noticed now that Peter and Sam were throwing Origami Gandalf fireworks at us! (It reminded me of Jacob’s creepy last stand a few months ago). I finally just threw OriGollum at them with frustration. Peter, knowing me, grabbed OriGollum, and held it in a “I’m about to rip your paper” hold. Not again! He tossed me back my OriGollum, instead of ripping it, and also handed me a note: a love letter from my girlfriend, Margaret Paris. Just to be clear, Harvey is wrong. I was NOT laughing with victory-induced joy! I was laughing, because I realized that Peter was telling me something: Margaret was waiting for me, after I hadn’t seen her for months. I had to go see Margaret! Y’see, Margaret was a girl who I met a year and a half ago, in a dark cave, during a field trip. She was an exchange student, who was moving to McQuarrie Middle School the next year, which has since happened. I have been waiting to talk to her for awhile, so I ran back home, ignoring Xarl, Malcolm, and Ian, who were still pushing me to follow Peter and Sam, who were fleeing the scene. When I got home, I called up Margaret. When she answered, my palms got sweaty, and I almost dropped my phone. Her voice sounded older, and the way she talked about her McQuarrie school life, and how she recently created Origami Aayla Secura, and joined the gang of Star Wars kids, it seemed like she might love Origami Yoda more than Fold of the Rings! “A friendly get together?” Margaret finished my sentence again. I know, she is pretty straight forward, but she IS amazing, either way! As I walked into the door, I spotted Peyton, and my heart skipped a beat. He was definitely older, and now wore contact lenses instead of those bulky glasses. He wore a t-shirt that said “Got Precious?” on it, and he was waiting for me, anxiously. When Peyton looked at me, I could’ve sworn that he was overwhelmed by how much I’d changed in the last few months. “Pretty?” I tried to finish for him, as I always did. Anyway, so Peyton and I got talking, in-between bites of pizza. “So Peyton, how was the end of your middle school year?” I asked, trying not to hold back my anxiety about my good news I had in store for him. “Not really. I didn’t even lose OriGollum, this time!” he said, enthusiastically. “Wow! That’s great, Peyton!” It was finally my turn to give Peyton some good news. “Freaks you out,” I said, knowingly. I was always pretty scared about the whole high school thing, too. “Ditto!” I said, taking a big bite out of my pizza. I decided to stop the chit chat there, because I knew what Peyton would talk to me about if we continued talking. He would ask me about McQuarrie. And I just didn’t have the heart to tell him the truth. I think she’s hiding something. Or someone….. I went up to her room, that night, to try and find out the truth. She opened her door, then, when she saw it was me, she slammed the door in my face! “Shut up!” she snapped back at me. I may be wrong, but Margaret has never, EVER snapped at me, unless if she’s hiding something. I charged in, breaking some of the metal door hinges as I went. I quickly scanned my mind for any hundreds of possibilities of what could be in there. NOTHING I could have thought of could’ve prepared me for this. Could’ve prepared me for HIM. My sister was FaceTime chatting my best friend Ryan. They were on an internet date. “HOW IS THIS MY FAULT?! ?” I yelled at Aragorn. This night wasn’t very fun at all. I am dating my best friend’s sister. And Peyton, Margaret’s “real” boyfriend, didn’t know about it. “Betrayed you?” Margaret finished Aragorn’s sentence, the way she always does. I knew that Margaret was really sensitive about her mom. From what she told me, her mom died when she was nine years old, in the same car crash that gave her little brother Sean a limp. Aragorn left, leaving me and Margaret empty and angry. We weren’t going to let Aragorn stop us. McQuarrie would win the Fellowship/Origami Yoda war, even if it meant breaking Peyton’s heart. I can’t believe it. Margaret, why? WHY?!? But OF COURSE it was a kid from McQuarrie! Always something to do with that stupid Paperwad Yoda! I am soooo angry at Ryan…..
“I’m with you, freakface!” yelled Frankie. She ran up to the top of the slide, on the playground where we have been planning our battle with McQuarrie. We were ready for anything. Anything, that is, except the SuperFolders. But I wasn’t going alone. I brought with me Internet friends SD CJ and SF The Evil Jawa! My stomach felt queezy as we kept flying on the small airliner, The Fell Beast. My head hurt, and my lap was sticky from Evil Jawa spilling nacho sauce on my pants. CJ’s arm kept bumping into my shoulder, and I was miserable. (Apparently, the airplane was too cheap to even get a porta-potty). Anyway, so we met up with the McQuarrie crew, who were having a pool party in Sara’s backyard. I was totally psyched to meet the real McQuarrie kids, so I got a shock when I rammed right into Dwight Tharp, and made him drop his Origami Yoda into the pool. “Brown,” Dwight said, walking past me, and faceplanting into the flower bed. I rushed into the pool, trying to find and/or fix Yoda. When I got my hands on him, I was shocked. Origami Yoda was as dry as ever. I hadn’t planned for a pool party, so I just sat by the edge of the pool, wading my toes through the water. Evil Jawa, however, didn’t care about his clothes getting wet, so he just jumped right in, splashing me, CJ, and Quavondo with chlorine-filled water. I tried to wring the water out of my brand-new “Expressions of Vader” t-shirt, while Quavondo and CJ decided to also jump into the pool. So now, I was stuck with Harvey, who was whining about his swimsuit being too tight. “Hey! Harvey! Will you just relax? !” I said, flipping my hair. “Hey, aren’t you that kid who plays me in that Paperwad Yoda Web Show?” he asked me. “AAAH! Mark the Seventh Grader!” I did my classic Harvey voice. “WHERE?!?! ?” Harvey screamed, apparently not getting my joke. In all of his fuss, he accidentally slipped into the pool, and drenched himself from head to toe. “WHAT HAVE YOU DONE! ?” Harvey screeched. “Whatever, Harvey.” I said, relaxing in a lounge chair. I put on some sunglasses, and tried to take a small nap. Turns out, that would be the last time I would get some rest in a long time. So we were hanging out in the pool, when I thought I saw something moving behind the fence. I looked to see what was going on, but as soon as I looked over, a bunch of kids ran over me! I checked myself all over; I was okay. But as soon as I got up, I saw mayhem! All the kids were fighting against the McQuarrie Crew! I was shocked! So, I ran into one kid and pushed him, along with me, into the pool. “Alright, what’s the big deal here fighting against our McQuarrie friends! ?” I asked. But then, the kid brushed his hair away and revealed that the one I pushed into the pool was…. PEYTON!!! I couldn’t believe what I was seeing! CJ, the OY EU SuperDoodler, who I didn’t even know was here, pushed me into the pool! I knew CJ from the Internet, but never actually met him. “Well, to be frank, I like Star Wars better, but it seems this Ryan kid wasn’t very nice to you,” he replied. I leaped out of the pool, and ran at Ryan screaming at the top of my lungs! But I ran so fast, that I couldn’t stop, and rammed into Ryan full speed. We both crashed into the fence. Alright, these freaks were getting on my LAST nerve! I charged at some kid, who was lying down in a lounge chair, threw the lounge chair into the pool, and grabbed the soaking-wet kid from the water. “Frankie Boyd? !” he managed to say, in between gulps of air, and momentary coughing. He then did something I did not expect: He pushed into me with all his might, and pushed me, and him, into the pool. I was completely drenched. We can stop these freaks together. I thought about it for a whopping nano-second before I dunked Harvey’s head into the water. I then spotted out of the corner of my eye another kid I’ve never seen before, wearing wet clothes, and smiling at Quavondo. I had half a mind to strangle JC and Evil Jawa right then, but I heard a trumpet sound. “WAR!! !” shouted a voice that I only knew to be Margaret Paris’s. “IT’S A TRAP!! !” said Dwight, with Origami Admiral Ackbar. He was looking at his shoes, but he was pointing ahead of me. My entire invasion army of pre-k kids and The Fellowship were all being ambushed by Ryan, Kellen, and Mike. All that was left was me and Margaret. We tangled, punched, bit, and I even ripped out a handful of her hair. We kept fighting, sweat stinging our eyes (or was that the chlorine? ), as we ran towards the playground, where our next great battle would begin. I had a pretty good advantage in this fight, since my mom used to always take me to this playground when I was in elementary school (don’t get all soft, punks; this playground is for tough gals ONLY!!!). Margaret was chuckling menacingly, which was strangely out of character for her, as she climbed the monkey bars, and just held on. I couldn’t follow her, since, well- oh, forget it! Just because- oh fine, I’m afraid of heights! I never could do the monkey bars, and it gives me chills just thinking about doing it now. I jumped. I actually jumped from one side of the monkey bars to the other, and, as I felt a sudden rush of wind, I realized that I wasn’t gonna make it. I was barely halfway there. So, in desperation, I grabbed onto the closest thing near me. I was SO close to getting my revenge, when this Darth Maulnut-job, Frankie, went all berserk on me! I decided to use her own fears against her, by going to the monkey bars. (Malcolm needed a little motivation, but I still got out of him The Fellowship’s worst fears…poor kid). As Frankie tried to conquer her fear, I was busy grabbing my brother, Aragorn, by the shirt collar. (That jerk of a brother was spying on me!). His face started to turn blue when Frankie emerged from the monkey bars. “No! I stopped you!” I said, as my attention was diverted from Aragorn for about two seconds. Aragorn spun his arm around me, breaking my grip on his neck, and forced me into a headlock. I elbowed him in the chest, but he didn’t move. I was trapped. “We make a pretty good team, don’t we, Frankie?” Aragorn asked, with a smirk. I really hate my brother. Midway through my awesome speech, Margaret shook her head, vigorously. “Stop it! Stop it!” she screamed. She was pulling out her own hair, and tears were streaming from her eyes. I knew hypnotism when I saw it. I am, after all, a magician. (Whether or not I’m a GOOD one is still in question). Margaret finally calmed down, and apologized immediately. She stopped, and her eyes got wide with worry. I watched hopelessly as Margaret ran over to the fence where Peyton lay, underneath the body of Ryan, who was slowly gaining consciousness. I was starting to feel guilty for thinking my sister would ever be so careless about love. She’s a responsible girl. So I am as sure as heck that there is another factor in this whole war. She paused, then, her eyes turned a stormy grey. I ran over to her, and grabbed her by the shoulders. She fell into my arms, and landed semi-softly on the ground. Still not a fun landing. By SuperFolder JC (I’m not on McQuarrie OR Tolkien Middle Schools’ sides, to there’s no SCHOOL NAME HERE title above the chapter). So, with a major battle going on, I had finally gotten out of the pool, and went all around, finding CJ and Evil Jawa, and trying to find out who we were supposed to fight! I mean, I didn’t WANT to fight anybody (except maybe Harvey), but I was kinda forced into it. “Hey, kid! Shut your mouth, or you perp, you’re gonna get it!” Soapy said, leaping off of the tanning Mr. GoodCleanFun’s hand, and onto my head. Of course, I had met Soapy back when I filmed Origami Yoda: The Series, when Tom Angleberger (as Mr. GoodCleanFun), was throwing Soapy at “Harvey,” me. Soapy’s iron grip was clasping my hair, and now, it was happening again. With a sudden jerk, I slung Soapy over my shoulder, and into the pool! (Nice, cold, good ol’ chlorine-filled pool… Soapy wasn’t coming out for a LONG time). As I was about to go body-slam someone else, I felt a hand on my shoulder. I turned around to see the weirded out face of Tommy. “Um…what are you doing?” Tommy asked. “Body-slamming a sock monkey…” I replied, not really seeing the oddness of it. “So…What are YOU doing?” I asked, trying to change the awkward subject. I wasn’t sure how to reply. I mean, hanging out with Tommy Lomax is every SuperFolders’ dream, but then again, what if Tommy hurts Dwight while interrogating him? Tommy nodded, understandingly, as he walked through the mess of beach towels, over the wet puddles on the ground, over to Sara’s fence, and straight over to Dwight’s house. Dwight’s door was uncharacteristically unlocked, so I walked right in. Memories of past visits went through my head, as well as Dwight’s comment about his dad taking the dog with him. With him where? Mrs. Tharp caught sight of me, and jumped. Apparently, no one looks more like a burglar than when they’re dressed in bright, summer clothes, and have soggy wet hair. Oh yeah, and they’re a SHORT, EIGHTH GRADER!!! “Oh, ok…” I slowly walked up the steps, careful to avoid stepping on the pieces of origami paper that had found their way through each and every individual step. As I was about to turn Dwight’s doorknob, I heard a loud ‘BOOM’ from Dwight’s Dad’s Room. I quickly burst inside the room, forgetting what Sara told me, and I found myself trapped under a pile of Star Wars origami. “Dwight! What are you DOING in here? !” I shouted. “I could ask you the same thing, Tommy,” Dwight countered, mindlessly folding origami cranes, and then converting them into those creepy flying Kamino things from Episode II. I was stuck, and I’m pretty sure I had an Admiral Ackbar in a place Ackbar should NEVER be, when I felt Dwight’s hand pull me free of the paper pile. “Thanks, dude! You saved me!” I said, but then, just as soon as he’d helped me, he shoved me into his dad’s closet, which had EVEN MORE origami in it, and locked the door. I was trapped by my weirdest friend. After a long chat with Evil Jawa about who would win between Yoda and Mace Windu, I realized that Tommy still hadn’t come back from his talk with Dwight. I decided to follow Tommy’s example, and also go into Dwight’s house. After walking in, and having a quick argument with Mrs. Tharp over me being or not being a burglar, I went up to Dwight’s room, and found nobody there, so I walked into Dwight’s Dad’s Room, and got the shock of my life. Dwight was sitting there, folding origami, in front of a home video of him and Mr. Saru folding paper together. And Tommy was behind him, trapped in the closet. I quickly went to free Tommy, and just as soon had a mountain of paper on top of me. I clawed, shoved, and ate my way out, (don’t ask… I didn’t have lunch yet), and finally, I was standing side-by-side with Tommy, as we both went over to Dwight, grabbed both his arms, and put him on his dad’s bed, for questioning. “Alright, Dwight, why are you making origami with Mr. Saru in that video?” was the first thing I said. “That’s my Father,” Dwight replied, a tear slowly rolling down his cheek. Ohhh…. Mr. Saru, the great, multi-job taking, disappearing act guy, was Dwight’s dad. And Dwight knew it from the start. “Oh, dude, I didn’t- I didn’t know…..” I said, slumping back into a pillow. I felt so…out of place, with Dwight thinking about his dad, and his mom working…I wasn’t even supposed to be here, if it weren’t for this big misunderstanding….. WAIT! “Dwight, were YOU the one who made everyone think I pushed Peter, a few days ago? !” I asked. I had to find Dwight’s Father. My victory over Margaret was incredible, no doubt; but the war was still raging. My Dear Frankie Hey, Frank, why aren’t you fighting us?! Come to the treehouse in my backyard… OR ELSE!!! Love, Harvey. Great. My enemy is obviously crushing on me, and wants to go to war with me at the same time. Typical. In my backyard, the McQuarrie kids and I were discussing our next great plan. “But what if they’re prepared for us to be prepared? !” Quavondo replied. I was ready for anything. Anything, of course, except Sara. Tommy betrayed me, Margaret betrayed Peyton, and McQuarrie betrayed Tolkien. For that, they will fall. I equipped my armor on me and OrigArwen, careful to not rip her delicate origami paper. I was as ready for battle as I would ever be. So when Frankie called us all up and told us that Harvey was attacking her, I couldn’t have been better prepared. Harvey’s house was pretty close to the road, with a scarce sidewalk between porch and busy street. The trees around were all bare, as if Spring hadn’t even come to his side of the street. I saw Frankie on Harvey’s front porch, along with Xarl (eeeeep! ), Malcolm, John, and DT. They were all staring at me intently, as if I was their entire plan. I ran ahead to Harvey’s backyard, where Harvey and his minions, Remi, Kellen, and Murky, were prepared to fight! I ran straight past them, and started to climb up Harvey’s treehouse. The rough bark was scratching my skin and tearing my shorts, but I continued to climb, until I was at the top, looking into the angry faces of Lance, Mike, and Quavondo, my old friends. Lance, without hesitation, threw a wicked punch at my head. I dodged and countered, delivering him a smashing blow to the chest. This was pretty easy! Quavondo, when I jumped over to him, started screaming, and ran out of the treehouse. Poor kid forgot about the ladder. Mike, when I ran at him, started crying with total fear. I decided to let that freak run out. My next goal: To DESTROY Harvey’s treehouse! Before I climbed down the ladder, I threw my “special” origami Anduril (the sword Aragorn wields) into the treehouse top. By the time my foot was stepping out of the ladder, the fireworks went off. Literally. Origami Anduril was filled with a nice sized firework, that completely obliterated Harvey’s childhood tree playhouse. “What the heck, Sara?! ?” Harvey screamed, tears rolling down his cheeks, and getting caught in his glasses. “Just finishing the job,” I said, maliciously. “Margaret, is is possible that Jacob did this to you?” I asked. I wasn’t sure who I could trust. I mean, in the past few weeks, Tommy injured Peter, Sara left Tommy, and she became a total jerk, Margaret and Ryan started dating, Elijah was NEVER trusted, and Dwight was an on-and-off Sith Lord. Yeah . . . that about sums it up. But I KNOW Dwight wasn’t part of this. He just couldn’t be that evil, right? There’s gotta be another explanation! “Ok, Margaret, I trust you,” Aragorn said. The way he looked me in the eye, like we had no secrets anymore, like he completely trusted me, was almost enough to make me tell him the truth. But I couldn’t. Dwight HAD to take the blame. It all started a week ago. That night I was going out with Peyton . . .
“Hello?” I yelled, into the alleyway Peyton told me to come to in a follow-up phone call, for our pre-date. Peyton wasn’t there, but Peter, Sam, and Tommy were. Peter led me into an abandoned building, turned on the lights, and led me to a table, where Tommy and Sam were sitting. I joined them and Peter in a small chat, in which Peter finally spilled the beans. “Ok…” I still wasn’t getting it. “Wait, you mean Jacob TOLD Dwight to go to Tolkien Middle School?” I said. “Is his father,” Xarl said, coming up from behind me. Then, he was followed by DT, Ian, Malcolm, John, and Jack. So, after a phone call with Tommy, confirming Mr. Saru is Dwight’s father, I now HAD to convince Aragorn that it was Dwight’s fault, even if it meant lying to him, so that Dwight could get in trouble with his dad. But maybe I could tell Aragorn. I mean, he would join our cause, right? 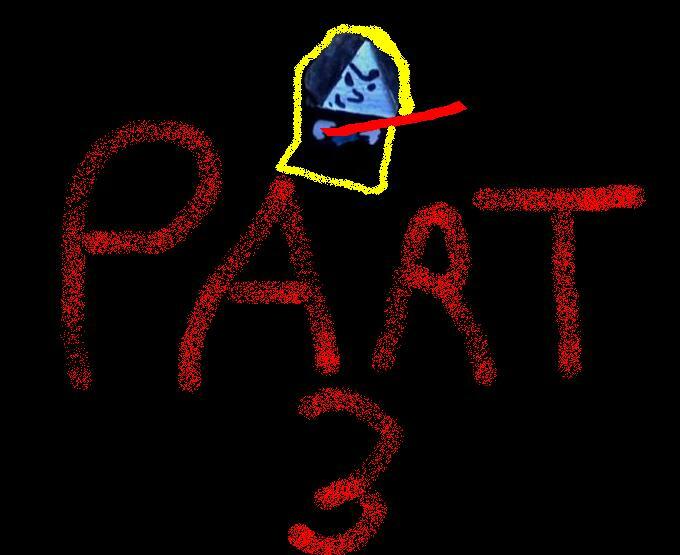 Chapter 13: The Father Revealed…? Me, Evil Jawa, and CJ are all members! And the best part is that…WE GET OUR OWN ORIGAMI LORD OF THE RINGS PUPPETS!!! Me – Origami Gil-galad (an Elven King guy from the books, that wasn’t in the films). “W’ell do it!” Evil Jawa said, enthusiastically. Ok, I guess our friend volunteered us for the job. “Great! Now…You guys need to get into uniform.” Peter said. Super tight, mega itchy, uncomfortable uniforms. Yay…..
“Like . . . SQUIRRELS!!! DWIGHT HATES SQUIRRELS!! !” CJ exclaimed. Once I learned of my dad’s identity, I sneaked back into class after school hours, to find him! The hallways were dark and bleak, reminding me of McQuarrie’s halls where I fulfilled the prophecy of The Chosen One, and stopped Jacob. There was no noise, and nobody in the seemingly abandoned school building. That, plus the already castle-looking setting, made the place seem totally evil. The clatter of my footsteps were vibrating across the walls. I started breathing heavily, as I ran towards Dad’s office. That’s when I heard the footsteps. I turned around, and I saw that JC kid, and his friends, CJ and The Evil Jawa, putting REAL squirrels in my locker. They were trying to scare me! I ran off, and heard the footsteps behind me getting faster. They were chasing me. I was running out of breath, running for fifteen minutes, until I finally stopped. I hid behind one of the school lockers, (Why do lockers always smell like moldy cheese? ), and stayed, cowering in the corner, as JC and CJ ran past me. Evil Jawa paused, though, and looked at me, dead in the eye. “Neither did I,” Mr. Saru said, as he took JC, CJ, and Evil Jawa to the principal’s office. But he didn’t take me. “Go home, Dwight,” was all that he said, as he silently walked away. I stubbed my toe on the corner of the door as we walked into Mr. Saru’s office. “Ouch.” I said, as silently as possible. If Mr. Saru was already in a bad mood, I didn’t want to make it worse. He sat down in his seat, and we sat down in the chairs next to him. “In what universe is kidnapping three kids in your office ‘helping’ us?! ?” CJ said. “Yes, “Saru” is my middle name. And no doubt you kids questioned my identity as Mr. Saru, seeing as how I kept disappearing and everything. My honest job is working at the Asami Origami Paper Company. One day, Dwight came into one of the Heidelberg shops which I was working at, as Heidelberg Novelties is a sister-company of the Asami corporation, and he, not recognizing me, (I was wearing a disguise); Dwight asked for some origami paper. Christopher, aware of my identity, told Dwight to look in one of the isles, while he talked to me, privately. “ONLY for a short time, so I could teach Dwight about how to make friends, and keep friends; something that Christopher was never good at. I mean, why do you think nobody can find him? Anyway, I accepted Christopher’s proposal, but I promised that I would tell Mrs. Tharp of my identity the minute I stepped through the door. But what we didn’t expect, was that Dwight bought the special paper. The Origami Yoda paper. My own father… I can’t believe it, MY OWN FATHER left me in the school hallways, alone ! I hate him. I hate all of them ! “END my life?! ?” I said. Has Dwight gone CRAZY?!? “This ends now !” Dwight said. Just then, I heard a sound that I instinctively knew to be the school fire alarm. Dwight was following Jacob’s example. He was setting Tolkien Middle School on fire. I bolted towards the door. Locked. I saw the flames outside. My mom drove CJ, Evil Jawa, JC, and me to the school, and I had been waiting for them to come back out. “Um…mom?! ?” I said, my voice cracking a bit. The roaring inferno of the flames was causing the roof to cave in. The school didn’t have much time. “Oh my gosh! Honey!’ Mom yelped, holding me back. “What do we do about my friends?” I said. “I’ll call the fire department!” Mom said, hurriedly whipping out her iPhone. I couldn’t just leave my friends in there. While Mom was talking on the phone, I charged straight into the doors of the school! Echoes came from behind me, “Peter! Nooo!” But I HAD to keep going. “THE WATER FOUNTAIN!! !” I exclaimed, as I jammed my old Frodo BAGgins into the faucet, spraying water everywhere. Goodbye, Frodo BAGgins. The water was settling down the fire in the halls, but that was nothing to be too proud about. I had a school to save. “HELP!!! Please, HELP!! !” Mr. Saru, CJ, and Evil Jawa yelled. I tried to open the door, but it was locked shut. The door wouldn’t open on either side. The door wouldn’t budge on my side, but I kept pulling. The flames were starting to engulf the other offices. The fire was within a few yards of me. Then, I had an idea. “Guys! I’m gonna try something!” I said. “Well, HURRY UP!” Evil Jawa yelled. “Dude, I am trying! CRAAAAAZY HARD!! !” I yelled. I thought that maybe I could open the door, like a fruit can. And Foldo Baggins could be the can-opening rubber thingy! “Alright, guys; here goes nothing!” I said. I pulled at the door, until Foldo was shreds. The door wouldn’t open. I could barely make out anything, as the smoke and fire had blinded me. It was now, or never. I rammed into the door, with everything I got, and passed out. I had given up all hope. JC was lying unconscious on the ground, after running out of air. CJ and I were pushing on the door, and Evil Jawa was just about to go nighty-night with JC. Finally, the door was broken down! I watched as Peter, practically lifeless, broke the door in two, giving us the way out. CJ and I acted quickly, carrying JC, Evil Jawa, and Peter on our shoulders. I ran past the smoldering remains of the hallways, gym, and pre-school area. But one thing quickly stopped me. I watched as the pre-school table that The Fellowship of the Paper was formed in melted into nothingness. I saw the doors ahead of me, gleaming with the light and magic of escape, and ran towards them. CJ, JC, Evil Jawa, and Peter all made it out safe. Mrs. Jackson (Peter’s mother) took them all, and tried to wake them up. Anything to keep them from slipping away. But I still had a mission. Good or Bad, I still had to save Dwight. I wouldn’t fail. I would save Dwight. My determination dulled the pain of the flames, my thoughts took my mind away from the burns. I wouldn’t fail. I wouldn’t fail. I HAD to keep running. The school was minutes away from total collapse. I knew from the minute I ran back inside that the school would be destroyed, by my own nephew. I wouldn’t fail. I know my brother tried to be a father, and inevitably failed; drawn by the power of origami. I wouldn’t, though. I wouldn’t fail. I would save Dwight, because I love him like my own son. The world around me became a blur, as the red and orange clouded my vision. Dwight’s safety was my number one priority. I would save Dwight. I ran to the only stable room; which was fittingly the principal’s office, where Dwight was sitting, about to tear up Origami Yoda. I collapsed, as I finally felt all the searing pain of the fire going through and singing my body. Before I knew it, I was unconscious. I watched as my uncle closed his eyes. Finally, I realized the truth. I had to save my father. He may not be my biological dad, but he loves me like a true father. And I love him. I threw Origami Ventress into the flames, along with Origami Savage Oppress. I was Jacob’s pawn no more, and his hypnotizing origami was destroyed. With Origami Yoda, I picked up my dad, and charged out of the building. What have I done? I thought. I burned down an entire school. No, not me. Jacob. He gave me Origami Ventress and Savage, and told me that he would be controlling my actions from them on. But now, without those stupid puppets, I’m finally free. Both schools are finally free from Jacob Minch. But did that matter? The school was still coming down! The ceiling was falling fast, and the walls were so dreadfully misshapen, I’d of thought I was in a fun house. No flames touched me, though. No pain went through my body, as I realized that my “father” had awoken, and had been covering me from the flames. He came back inside the burning building?! For me?!? “Dad, why?” I felt like a thousand miles away from him, even though he was right here. Reunited, a Son will be, with his Father. By some miracle, Mr. Saru picked me up, and ran out of the door, before collapsing, and vanishing, immediately, like a Force Ghost. I heard the news on TV, after recovering from the previous FOTR/OY battle. Tolkien Middle was ON FIRE?!? No way! My instincts said to go, and I always listen to my instincts, so I grabbed some string-cheese from the fridge, and began to bike ride to the school. My legs got tired quick, and I was panting like a dog; so I decided to get out my cheese, and take a snack break. As I took my first yummy bite of that thick, gooey goodness, someone punched me in the back, and ate my string-cheese in one big bite. “Really, Frankie?! ?” I groaned, angrily. Just like that, Frankie pushed me off my bike, and onto the hard pavement. Ever have that feeling when your hands start stinging when your hands get scratched on the ground? Yeah, that’s me right now. Frankie took my hand, and boosted my up onto her lap. “Get ready to scurry, mouse!” she said, as she peddled like a maniac. Literally, in like two minutes, we made a twenty minute ride! I just heard the news about the school. The good news is, my house is only like five minutes away, so I asked my mom if she could drive me over, to see if we could help any of my friends in need. I stepped out of the car even before Mom parked it, and immediately, I felt a sudden rush of smoke-filled air. I started coughing pretty bad, which, of course, alerted EVERYONE that I had come to help. “Me.” Dwight said, sitting with his head in his arms. “Dude, you did WHAT?! ?” I exclaimed. “And his dad died.” Frankie said, in a ‘matter of fact’ voice. Me, Sam, and the rest of the Riders of Foldhan were in constant contact with Peter, JC, and the others. CJ had informed us of the fire, and everyone else’s walkie-talkies were destroyed, so I ordered every off-duty Rider to get to Tolkien Middle School, immediately. I took my bike there, and met up with the others. Everyone was there; Dwight, Harvey, Kellen, Lance, Murky, Quavondo, Mike, Peyton, Jack, Ian, Malcolm, Frankie, CJ, Samantha, Xarl, Aragorn, Margaret, Sean, DT, the parents, and…Sara. That was it? I said, “Hey?! ?” Wow, I must be pretty pathetic. “Tommy, I am SO sorry!” Sara said. She ran over to me, and gave me a big hug. “PETER?! Is he ok?! ?” I freaked out a bit. “Sara. . .” I held her in my arms, and felt a shudder of fear leave Sara’s body. I would keep her safe, and never, never let go. (Except, of course, when I did). “It’s ok, Sara. I’ll protect you,” I assured her. “I know you will,” Sara assured me. The ambulances left for the hospital, with our friends. The sirens were wailing just as loud there as they were here. After the noise of the sirens died down, I heard a cell phone ring. Dwight picked up the phone. He paused, and listened to the doctor. He listened intently to the doctor’s voice. Dwight smiled, for real, and ran off to the salvaged playground, before being stopped by firemen. I could’ve misheard, but I think Dwight said something about squirrels still in the building. Yep, Dwight’s back. Tommy is a forgetful freak. Malcolm came over to me, and put his arm around me. EEEW!!! “What’s wrong with you, freak-mouse?! ?” I yelled. “Um… I just wanted my cheese back. I know you kept some in your pocket!” Malcolm accused. He’s good. Malcolm grabbed the string-cheese, and ate all that was left of it. I gave him a hug/squishing guts out squeeze, and he smiled/cringed, happily. “Yes, my dear- I mean, WHAT DO YOU WANT, CREEP?! ?” Harvey said. I brought Sara to the front of the school, as close as we could get to it without firemen pulling us back, and I held Sara tight. The other kids came close, too. We watched as Tolkien Middle School collapsed, and firemen controlled the flames, until everything turned to steam and ash. Tolkien Middle School was gone. Samantha left immediately after the school fell, to go check on Peter in the hospital. It sounded like he was gonna be fine. JC and Evil Jawa were both in stable condition, but had to be on oxygen for the next couple weeks. “YOU ARE STOOKY!! !” We all cheered. Dwight looked around, but never directly at any particular person. But I could tell he was happy. It’s been a while since the whole Origami Yoda/Fold of the Rings battle, and today was the day we were finally getting to all see each other again. We met on the hill that rises above the playground. 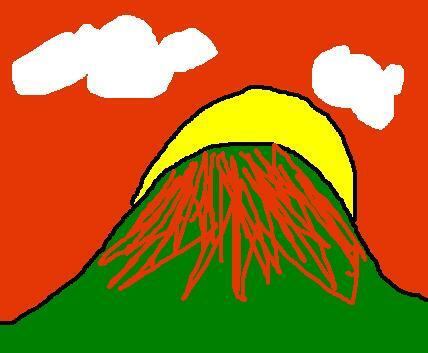 It was sunset, and the whole hill glowed a reddish-orange. The Fellowship, the McQuarrie kids, the SuperFolders, we all met together. It was a time for celebration. It was Malcolm’s Birthday! Tommy and I played some rounds of thumb wrestling with Origami Rex and Foldo Baggins; Frankie and Harvey were playing on their Nintendo 3DS’s, trying to avoid everybody else; Peyton, Xarl, Quavondo, and the Birthday Boy were all playing “Pin the Lightsaber/Sword on the Yodagorn;” and Sara apologized to Mike and the others about her treehouse rampage before, which was apparently not even her, but Jacob controlling her with Origami Arwen. That makes me wonder, didn’t she get Arwen from Xarl? Maybe that kid really IS too good to be true. . . But not now. I can’t try and bust Xarl. Not when Malcolm’s having the time of his life. If Jacob does have a spy in our midst, we’ll track him down in high school. “Man, guys, this is PLASTIC DINOSAURS!! !” Malcolm said, licking the last of the cheese off his lips. “Oh, you got some cheese on your…um…” Frankie started, coming over to Malcolm, to wipe off some cheese from Malcolm’s cheek. Unfortunately, Peyton dropped OriGollum, which tripped Frankie, until she and Malcolm were caught in an awkward hug. I waited for them to stumble back, but they didn’t. Frankie kissed Malcolm’s cheek, getting the cheese off, and Malcolm fainted again, this time into his pile of birthday origami. Tommy and Sara sat down at the top of the hill, watching the sun go down. I followed, then everybody else came after me. We all sat down together, Dwight and John holding Origami Yoda and the Origami Ring above us, ad Kellen and CJ doodled our portrait together. Sure there will be more adventures, and yeah, things will change. But in this moment, this IS The Grand Finale. Our next adventure would have twists and turns, love and betrayal, friendship and loyalty; but the end is now. We won the day, and we conquered the forces of Jacob Minch. . . As one. We stopped Jacob, survived his last attempt at revenge, and even found Dwight’s father. Yep, that’s pretty typical for us, here in Virginia. Thanks from everyone at McQuarrie-Tolkien High School, and goodbye! I agree with Tommy in saying that I hope you guys liked the story! It was so much fun to write and a blast to work together with you guys, CJ, Evil Jawa, and everyone else in creating the longest, biggest Origami Yoda Expanded Universe story EVER. Here’s to YOU!!! By JC (I will refer to myself as “JC” in the appendixes, just to avoid confusion). Note 1: Sara, in the chapter “The War Continues,” says that she isn’t Sara, anyway; so she can be mean and evil. In reality, it was Jacob Minch, mind-controlling Sara with Origami Arwen this whole time, which is why she was being such a jerk ever since Tommy pushed Peter. Back in “Enter Jacob,” Sara was among the kids who went to fight Jacob, and Jacob had pulled her aside before the battle. He asked her to appeal to his good side, and told her that he wasn’t the guy behind this. . . But he was forced to give Sara the Origami Arwen. Sara was corrupted by it, and tried to fight it, but ultimately gave in to it when she saw Jacob’s hallucination of Tommy pushing Peter. In between the chapters “The War Continues” and “The Fall of Tolkien Middle School,” Sara breaks free from the origami’s dark hold whenever Dwight destroyed Origami Ventress and Savage. Note 2: Likewise, it should be noted that Jacob’s origami was acting like a hive-mind, and the origami had a collective consciousness, so whenever one piece of paper was destroyed, the effects of all the others would vanish, too. Note 3: Now, as for Jacob’s Papertine origami; Jacob ALWAYS had the Original Papertine with him, as it was never destroyed. Jacob made a decoy in Papertine 2, so that, when the Super Saber was set on fire, Papertine would not be destroyed. Every other time, the other Papertines were mere “clones,” and Jacob, even in juvi, still had the Original Papertine on hand. Note 4: The Original Papertine is actually connected to Jacob’s consciousness, so if Papertine is destroyed, Jacob dies. Likewise, if any other piece of connected origami puppets (see Note 2) is destroyed, Jacob will be seriously injured, and could be in risk of death. Note 5: Even though most origami made by Jacob was destroyed, Jacob is still alive, rotting away in his jail cell in juvenile detention. . . Note 6: Time wise, there might be some time inconsistencies in The Chosen One and the other tales connected to it, as JC wasn’t paying much attention. If there is a problem with that in CO canon, just assume some time passed in between the events that are questionable in their time-frame. . Note 7: The power behind Papertine is still to remain a mystery, as Mr. Saru, in the end of The Chosen One, tried to solve that mystery, but didn’t tell anyone if he’d found anything. JC wishes to keep it a secret, unless if he does ever create an extra ten chapters about it, making The Chosen One an even fifty chapters…vote in the comments about it! Note 9: How DID Jacob survive his “death” in The Fold of the Rings 3? Simple. Is this going to be finished? Yeah! I’ve been working on it awhile now…. it’s gonna be TWO TO THREE TIMES LONGER THAN BOOKS 1 AND 2!!!!! I KNEW IT! [[[SPOILER]]] WAS DWIGHT’S DAD! Whoa. Big stuff going on. Nice job, JC! Thanks for spoiler warning, whoever did that! Phew! Now everyone can see who Dwight’s dad really is without me or anyone else saying it! WHEN ARE YOU GOING TO WRITE THE REST?! I AM DYINV TO KNOW WHAT HAPPENS!!!! Same with me, Darth. Same with me. HURRY! THE SUSPENSE IS MADDENING! FRANKIE VS HARVEY!?!?!?!?!? OH YEAH!!!!!!!!!!!!!!!!!!!!!!!! Is my part coming up [wink wink]? when IS the EU’s b-day? June. My birthday is in June! What day is the EU B-Day in June? And, as a birthday gift…, your character in The Chosen One can have a BIG battle in the story! Ok! I’ll set up the date for OY EU BIRTHDAY AND STARWARSFOLDER12 BIRTHDAY BASH!!!!! 4: Have birthday bash with EU! So, since you’ll probably be busy ON your birthday, maybe we should do it the day before or after? Nah, it’s like a normal day at school. I have a hour on computer each day. That was…. MONSTERLY QUADRUPLE ABSOLUTELY ZUPER-ZOWALY STOOKY x 1,000,000,000!!!!!!!!!! Ok, since you didn’t say it, my part was…….BETRAYING MY FELLOWSHIP. Either way…did you like it? That is so sad……(tears up). I might make a Skyfolders two, when their in high school, and make it kinda contradict this story. Anyway, Bravo. This is definitely Stooky times 100. The Sara and Tommy part at the end was so heartfelt. Thanks! Writing that was kinda my callback to “I love you! I know.” from * Empire*. Yeah, I knew it sounded familiar. I wish I could write like you. What do you think about a Skyfolders 2? Thanks! I’ll get working on it soon! BTW, Could you maybe advertise Skyfolders? I don’t think anyone is reading it. And for Skyfolders 2, DO IT! I’ll make it story of the week starting in Feburary! Okay, okay. I’ll do it! Hey JC, I’ll send you number 2 when in February. It’s gonna be awesome. Maybe you could help with writing it, JC. Just tell me some ideas and I’ll use some of them. Um, hello? Is anybody there? Please put the instructions up! Do you mind I use these ideas for my own origami? I already made a Foldo Baggins before I read that part of the story . 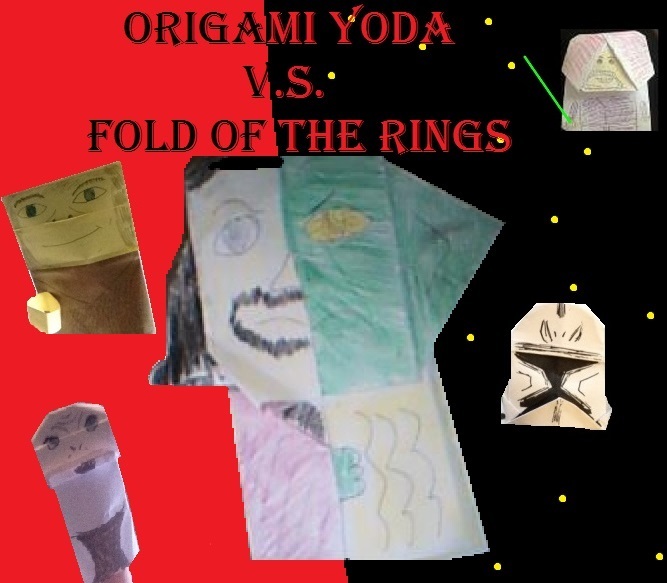 I made a cover picture for Origami Yoda V.S. Fold of the Rings! I made the Grand Finale portrait! The epilogue is great! Just one question, wheres the origami instrux? I think that won’t happen until June. Now, wheres me in that picture? Hmmmmm… lol Awesome epilogue. I hope we all do The Grand Finale 2. We are together, as one. We are the Superfolders. 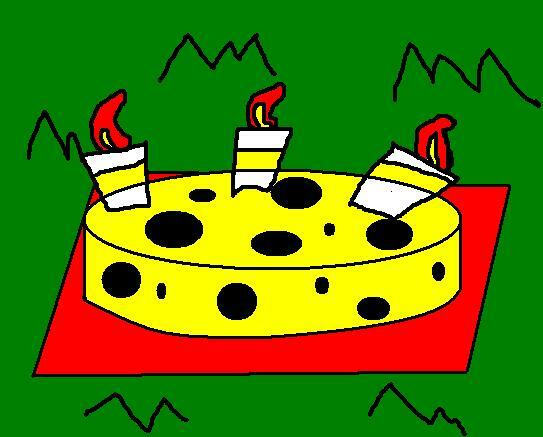 You’re the one with the birthday hat, cheese, and party blower. You’re on the left side, between Frankie the tough gal, and Peter and Sam who are holding each other. Does that help? Who is the “familiar face” that is the true power of Papertine? That, my friend, is a secret! Could it be a certain mustachioed seventh grader? Or possibly a kid who’s name sounds like Carl? Or maybe even a kid who loses OriGollum a lot?!? You’ll never know. . . Until ORIGAMI YODA AND THE PHANTOM MENACE!!!!! COMING SOON!!!!! HOW DO YOU WRITE SO STINKIN MUCH?!?! Me? I’m homeschooled! This is a part of my learning! Do you just write for a long time? Or do you write fast? Like, how long did the chosen one take you? Thanks for the reply JC. When does Origami Yoda and the Phantom Menace comes out? And finally thanks for the tip. Well, I guess about six months. . .
Will Jacob return in Origami Yoda and the Phantom Menace? Well, not in the way you expect. . .
JC I read the first chapter (great work by the way) and I see what you mean. Cool! Thanks for reading it! In response to your other comments, you can’t know who the shadowy figure is. . . until the END of the story! And yes, I did “rip” as a pun. A very sad, very evil pun. Weaver, I’ve been working on a story, (not origami) that I think I’ve been working on since like September. Say JC I just sent my first origami picture to Mr. Angleberger (or shall I call him Tom) and if you check to website look for Superfolder HG’s (that’s ME) Origami Luke Skywalker and for the name I was inspired by your SF name. There is a story I have thought of (but not completed) called “The Magical Study of Origami Woody and Origami Buzz Lightyear”. Whoa! That would be awesome! It would start a whole new genre of Origami Licensed Themes! By the way JC great job as Harvey. In Origami Yoda: The Series. Thanks! It’s so much fun to act as him! JC which Darth Paper are you going to use as Harvey in Darth Paper: The Series. The intrix. for the cover guy (in Art2-D2 book and on origami yoda.com) or Ben’s intrux from Darth Paper Strikes Back. The Darth Paper that I’m using for Darth Paper: The Series is actually going to be a variation of Ben’s DP, but with some Kirigami shapes (eyes, control panel) taped on! Van Jahnke Yoda is actually secretly the Kawahata Yoda undercover… because Kawahata Yoda is copyrighted… I think. AHHHHHHHH! MARK THE SEVENTH GRADER! The storyline always confuses me with the FOTR and OY crossovers so I always skip to the end and so Dwight’s dad was mr. Saru? I really don’t wanna explain it. Who will the character be? Superfolder JC. Hi! I’m new, the Grand Finale is AWESOME!!! The only problem is: at the home page you know how it says to click here to view the Grand Finale Epilogue? It doesn’t work. Whenever I click it, it just goes to the Grand Finale! I see all the post saying that Chapter 1 was awesome and it’s just torture!!! I’m Luke after Vader tells him he’s his father: NOOOOOOOOOOOOOOOOOOOOOOOOOOOOOOOOOOOOOOOOOOOOOOOOOOOOOOOOOOOOOOOOOOOOOOOO!!!!!!!!!!!!!! The Chosen One IS The Grand Finale! JC two things. One: My thing is posted (Look at Stooktacular Showcase #6 for HG). And two: if your character Harvey in Origami Yoda: The Series uses the five fold Yoda what will be the emergency Yoda? Ah, but Harvey DOESN’T use a five fold Yoda! He uses “One More Fold” from Art2-D2! And, since Art2 isn’t getting a series, there won’t be any issues! Oooooooh! That explains the whole well you know straight line for the robe. And also JC, notice my new picture? It’s the picture I sent to Tom. Say when does the origami instructions get put up. Question. Was the “Origami Yoda Paper” for the first Yoda (that was crumpled) or the Yoda after that? Actually, both! Dwight, thanks to his dad’s line of work, has a lifetime supply of origami green/brown paper! I mean which Yoda (original (crumpled) or current) was created by paper meant for treebard. What I’m saying is…. BOTH! Both of them used the same paper! Oh, thanks. That explains it. Sure! Happy to answer your questions! Say JC what was your first post on http://www.origamiyoda.com as a SF. Hey JC, what was your first post on http://www.origamiyoda.com that made you a SF. Sorry if I repeated the question. JC I HAD A GENUIS IDEA! 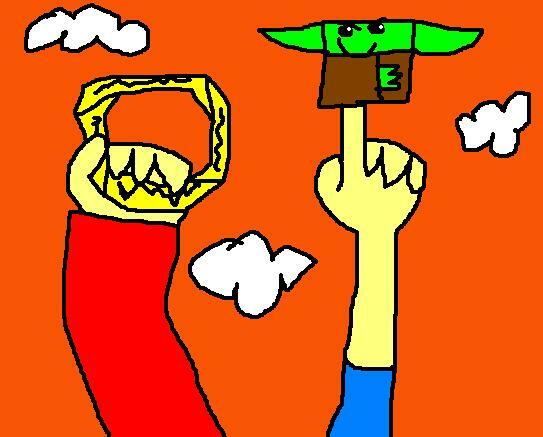 How about do adaptations of Paptertine 2, 3, and 4: Mystery of Origami Jedi Bob (and maybe 5: The Beginning) and maybe include Jacob in Fold of the Rings: The Series which will lead to the making a HUGE movie adaptation of The Grand Finale! You can play yourself and Harvey and Malcom in the same video. Ah, yes! Well, technically…….. Hmm….. It’s been a long while…… Well, I was a SuperFolder BEFORE you needed to fold stuff to be one! I just blogged and commented! My first post is my photo recreation of the tragic death! Say JC I just set up my own site on wordpress called Origami Infinity. Cool! Can you send me a link? I just saw it! It looks really cool! I can’t wait to see it when more SFs send in their stuff and everything! 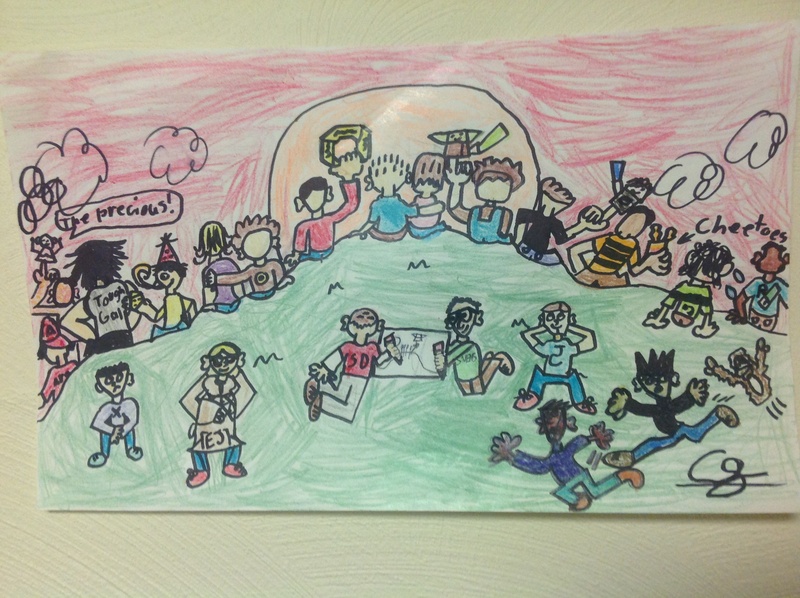 I have a post about my site on http://www.origamiyoda.com and I sent something for the doodling non-contest. Say JC, did you see the Yoda Chronicles and the top secret Lego Star Wars project: A GINORMUS LIFE SIZE LEGO X-WING. And notice it said episode 1 for the Yoda Chronicles. And that JEK-14 reminds me of something now where have I seen some thing like that (cough) sneak peek image of CJ’s new story (cough). And I just had an idea to make an Origami Ek-Jay ourteen-fay. Yep! And you’re TOTALLY getting a shout-out in the next story! I’m confused. I thoguht th guy weilding Papertine is the true power behind….. well Papertine. And is that next story OY and the PM. Who’s excited for Monsters University? I being a HUGE Pixar fan I can’t WAIT for it. Anyone who’s a Pixar fan like me PLEASE reply. JC I just emailed my story to the site. JC do you know how long it takes to get a story on the EU. (If you don’t mind, I added “Fold Story” to the title). How do you add a chapter to a story. And I was thinking doing other Pixar based origami stories. And JC if you read the story, what do you think? Great! And it’s in the same continuity as Mario Bros. Menace and Gravity Folds! EPIC!!! If you want instructions for Origami Woody and Origami Buzz give me an email address and I’ll even throw in Origami Mike and Origami Sully (Monsters Inc or Monsters University style. Say JC, why didn’t you put the author name on my story. Say JC I am about to post the next chapter of Fold Story: TMSOOWAOB. Say JC I just sent two chapters of my story. When does the Origami Treebard instructions get put up? Hey dude, would it be okay if you posted the instructions for Woody, Buzz, Mike and Sully on origami yoda.com? Its pretty hard getting permission to give out e-mail adresses. Plus its easier. Does anyone think there should be and adaptation with The Week of the Papertine 2,3(,maybe 4) and The Grand Finale. Guys I have a problem (and this is not the one with the new rules). Starwarsfolder12 has Origami Pixar that’s ripping of my thing for stories. I planned to do more after Fold Story. JC if you can I need advice. What happens when you have a theme for your story and you plan to do more when you’re finished with your current story. Then you find out someone ripped it of by using the same theme. Ah, yes. That has happened to me before. Starwarsfolder12/Malcolm is usually the one who writes these stories. He’s a great writer, but he sometimes doesn’t realize that we kinda want our own stories to ourselves. If you can ask Malcolm to stop, that is ideal, but he really means no harm. I did and now he’s upset and claims that his stories are different than mine. I was thinking of doing a origami Finding Nemo story (I even made a prototype for origami Nemo characters). SLS, Are you there? Even though I have a few friends in real life, I only tell this to someone online. Crazy, right? 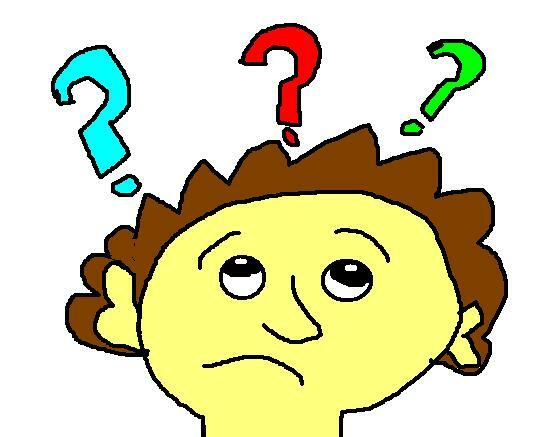 Okay, I need to ask you this: Are you Male or Female? I’m not sexist, I just get nervous about talking to females. never been my forte. What made you think I’m female? Sheesh. Okay, so you said you have a big crush on someone. She’s actually in my MOU story. What should I do about her? I picked you because you’re the person I talk to most and therefore, my best friend in the OYEU. You’re confused, probably. I have a crush on someone. She is refrenced in my story. What the Hutt Should I do?! Honestly, I dunno, dude. I’ve only wrote the first few chapters for Foldo. And I’m writing them in the comment section of Batfold The New 2012, but don’t check it out, because then you’re basically spoiling Foldo for yourself. Also I’m confused at who’s actually writing the Spider-Fold story (I coined that name by the way, heh-heh). Is it Maddox? He said he wants to write a Spider-Fold story. Is it TheWatcher? He said he’s working on a mysterious MOU project. Is it Mega3? Is it CJ or Noah? Is it even Dutchrocks, who has been away from the OYEU for a while, maybe to have more time to write a Spider-Fold story? Also some of us are talking about a Spider-Verse MOU story, but I’m more interested in a solo Spider-Fold book, not one containing many Spider-Folds. Also did you know that I’m expecting Foldo: A Star Wars Story to be very well-received among the OYEU community (unlike poor Solo: A Star Wars Story, which had a poor box office), so that I can make a sequel? You heard me right. Foldo hasn’t released yet and I’m already thinking of making a sequel, or at least a Foldo spinoff. It’s just, as I write Foldo chapter by chapter, it just gets more and more exciting as I write, even though I know the whole story from the beginning.